If you’ve been reading our blog over the last few months, you know that we haven’t exactly been shy when it comes to talking about mobile. We can’t help it! Mobile presents a huge opportunity for small businesses marketing and nothing gets us more excited than seeing our customers succeed. But, we also understand that not everyone shares our excitement. If you own a small business or are responsible for marketing a nonprofit organization, you may have some reservations, doubts, questions, or possibly even concerns about whether or not you should be thinking about mobile right now. It’s understandable. You’ve put a lot of work into marketing your business and any change you make needs to be worth the time and energy that comes along with it. When considering what role (if any) mobile should have in marketing your business, you want to make sure you’re making decisions based on the right information. Here are a few common misconceptions you may want to reconsider. Without question, this is one of the most common pieces of feedback we receive when talking to business owners about mobile marketing. In a recent Constant Contact survey, 56 percent of respondents who said they weren’t using mobile technology cited a lack of customer demand as the reason why they hadn’t put a mobile strategy in place. But while you may not think mobile is on the mind of your customers today, there’s a good chance that it will be sooner than you think. It doesn’t matter if you run a family-owned farm that just celebrated its 75th anniversary or a restaurant that just opened its doors, mobile already influences the lives of your customers and will have a greater influence in the years to come. Now is the time to get ready. Even if you accept that your customers are using mobile, you may still have doubts about whether “being mobile” matters for your particular industry. It’s a fair argument, especially if you’re working in an industry that’s not typically known for being technologically advanced. But here’s the thing: regardless of whether or not you and your peers are ahead of the mobile curve, your next great customer probably is. Think of one of the most popular tools consumers are using to find new businesses — online search. Did you know that searches on mobile devices are expected to surpass desktop searches by the end of 2013? It’s true. Did you also know that 73 percent of mobile searches trigger additional action and conversion while 55 percent of purchase-related conversions occur within one hour of an initial mobile search? This means that regardless of what you do, more and more customers’ first contact with your business is going to be on a smartphone or tablet in the coming days, weeks, months, and years. You can hold on to the belief that your industry doesn’t need to change or you can put yourself ahead of your industry peers and offer an experience new and current customers will thank you for. While there are certainly expenses you may want to take on to improve the mobile experience you offer customers in the future, a lot of the work that needs to be done won’t come with an additional price tag. Are you on Facebook? 50 percent of Facebook Page views now come from a mobile device (Facebook). Are you using email marketing? 43 percent of emails are now being opened on a mobile device (Litmus). Are you thinking about online listings and review sites? 45 percent of all Yelp searches happen on a mobile device (Yelp). This proves that mobile is already influencing the way people interact with and find your business online. When you’re starting out, mobile shouldn’t cost you a dime. What it will cost you is some time to think of ways to make marketing tools like email, social media, and search work better for your increasingly mobile audience. Without the right context, mobile can be a pretty intimidating word. But mobile is more about your audiences’ behavior than it is about the actual technology behind it. When we’re talking about a mobile-friendly email, what we’re really talking about is an email that looks good and is easy for your reader to consume when they aren’t seated in front of a laptop or desktop computer. You might not know how to build a mobile app (I certainly don’t,) but you can understand a few basic principles to help guide your design decisions. Mobile-friendly emails use a single column template. Why? Because people don’t want to double click or pinch to zoom while reading your email on a smartphone or tablet. 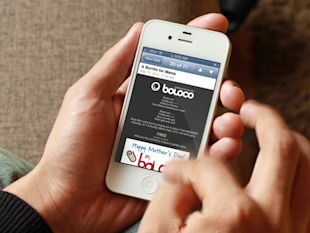 Mobile-friendly emails use a single call-to-action. Why? Because people are more likely to be scanning your emails quickly on a mobile device and you don’t want them to miss the point of your email. Mobile-friendly emails should be clear and concise in content and design. Why? Because people are far less likely to read every word of your email while they’re checking their inbox waiting in line, sitting in a meeting, or lying on the couch at the end of the day. Once you accept that your audience is becoming more mobile, you’ll be on your way to adapting your strategy to meet their expectations.